"We hold in high esteem your many years of spiritual guidance and service to humanity and will be most honored by your presence at this historic interfaith gathering, to offer your wisdom and your vision for the future. We are deeply grateful for your commitment to interreligious understanding and your work for peace and the upliftment of society." These words of the formal invitation to Swami Sandeepananda Giri from the Parliament of the World’s Religions, to deliver an address at their Melbourne Parliament in 2009, sums up the whole gamut of Swamiji’s vision and mission. 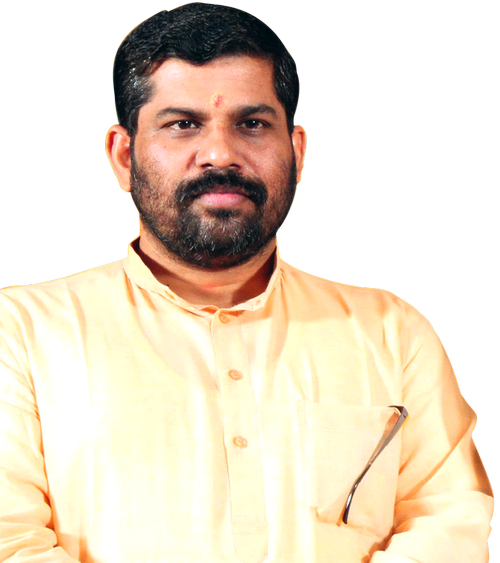 Swami Sandeepananda Giri, the founder and Director of School of Bhagavad Gita and Salagramam Public Charitable Trust, is a well-read scholar, spiritual teacher and an effective speaker who has been widely recognized for his practical wisdom. 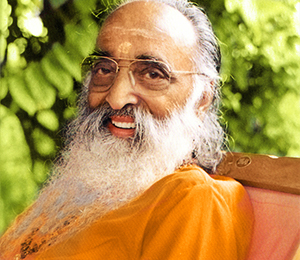 Inspired by the life and work of Swami Chinmayananda, Swamiji took up the Vedanta Course at the Chinmaya International Foundation, following which he entered monastic life in 1994 as Br. Sandeep Chaitanya in the Chinmaya Mission with a dedication to spread the spiritual legacy of India and the wisdom of our Guru-parampara. He served the mission holding key positions and spearheading several of its projects and activities. 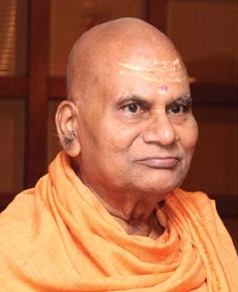 In 2006, with the endorsement of Swami Tejomayananda and the Chinmaya Mission Trust, Swamiji founded the School of Bhagavad Gita so as to effectively benefit a wider section of the population. The activities of the organization were formally inaugurated in Delhi on 1 December 2006 by Smt. Sheila Dixit with the blessings of the then President of India, Dr. A.P.J. Abdul Kalam. Swami Sandeepananda Giri was ordained sannyasam by none other than H.H.Dwadashadarsanacharya Ananthasrivibhooshita Acharya Mahamandaleshwar Kashikananda Giriji Maharaj at Haridwar during the Kumbh Mela of 2010. For over two decades, Swamiji has been conducting countless discourse series on the Bhagavad Gita, the Upanishads, Srimad Bhagavadham and other texts, all over the country and abroad in the USA, UAE, UK, Canada and Australia, including the address at the historic World Parliament in 2009. Working tirelessly for his life’s mission, the milestone events in his spiritual journey include the 108 days’ continuous discourse series on the Bhagavad Gita in Trivandrum and Cochin, the first-time event of the 45 days’ series in the UAE, the state-wide 3 months’ long programs - Chatur Gakaaram in 2008, Chaturvidha Purushaartham in 2010, Bharateeyam in 2014,the 54 days’ Srimad Bhagavadha Thattva Vichara Yajnam in Trivandrum, Sampoorna Gita Jnana Yajnam and the Art of Man-Making T.V series running to over 400 episodes on Doordarshan and the Upanishad series on other T.V.channels. Under Swamiji’s direction, the publication of PIRAVI, the spiritual magazine with a difference, translations and commentaries of many renowned works, etc are done with the purpose of bringing it within the reach of the masses. The several pilgrimages (yatras) to Kailas- Manasarovar, Himalayas, Amarnath and Ganga Darshan, organized and guided by Swamiji, give a new dimension to spiritual journeys by introducing India’s cultural heritage to the common man and spreading the message of “Ishavaasyam idam sarvam”- Everything in this Universe is pervaded by the Supreme. Swami Sandeepananda Giri’s ashram, SALAGRAMAM – the Temple of Knowledge – houses the headquarters of the School of Bhagavad Gita in Thiruvananthapuram. Located in peaceful surroundings along the Karamana River, Swami Sandeepananda Giri envisions SALAGRAMAM as an international forum and an open house for all seekers of knowledge.